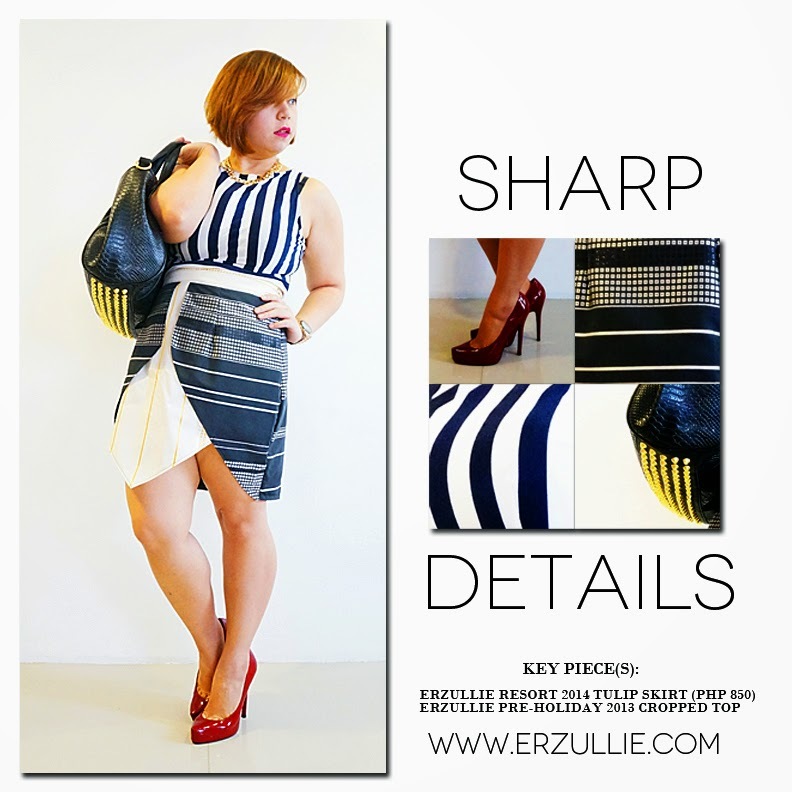 Erzullie Icon and Plus Size Model, Monica Reyes, was a fierce style conductor in this sharp details ensemble! The outfit, embellished with lines, textures and silhouettes, comes together in an edgy and brave look. She combined the Erzullie Resort 2014 tulip skirt with the Erzullie Pre-Holiday 2013 cropped top. Which is more powerful? One’s fate or the Erzulliesta? New Erzullie Icon and Monica Reyes proves that beating the odds may not be a walk in the park, but the rewards are far greater than one can imagine. #1 So the odds are in your favor! You are now an Erzullie Icon, thoughts? Surreal. Until now, I still can't believe that I am an Erzullie icon. My first reaction was to shout my lungs out and feel the chills and had to calm myself. I told myself that not everyone is given such opportunity; Thus, I ought to give my best. 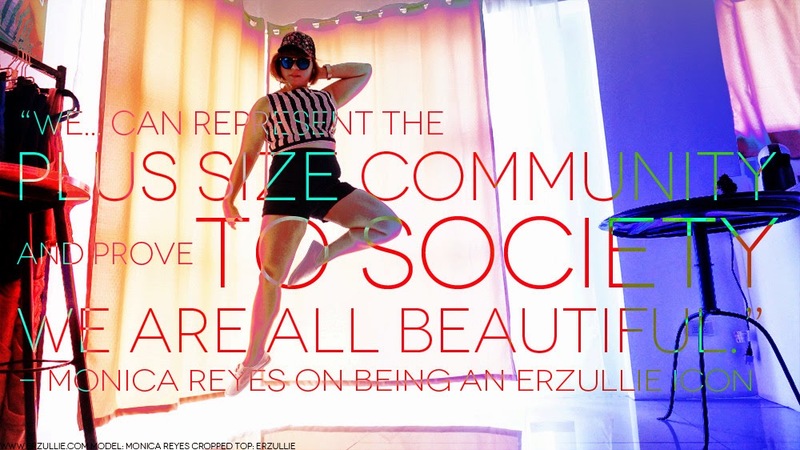 Being an Erzullie icon is more than just fame and glamour; it needs strength and responsibility - and that I can assure myself and my plus size family. I want others to feel that they are beautiful regardless of their physical attributes and that we aren't outcasts as this society stereotypes us. #2 How about your personal plus size fashion blog? Will there be changes now that you are an Erzullie Icon? So far, I can just ensure my readers that I will continue what I am currently doing, which is to update my blog via instagram including Erzullie activities and other posts related to plus size fashion and my advocacy towards body love/acceptance and plus size women. #3 How about in yourself, did the Iconship change you? 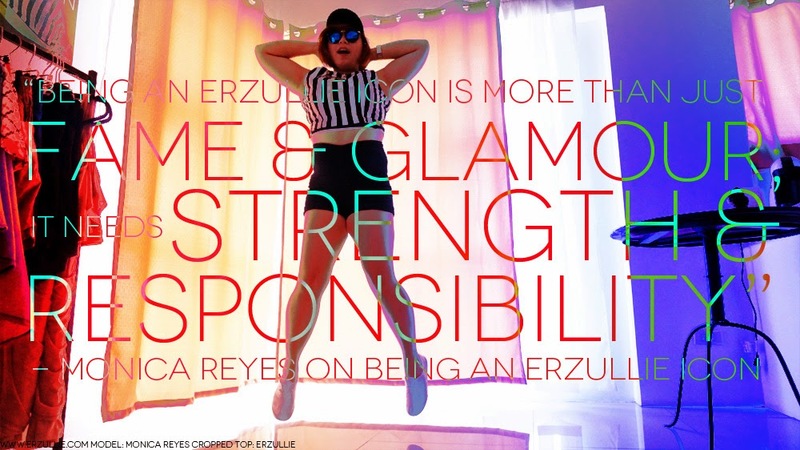 Being an Erzullie icon changed me in a way that I have to be more responsible. This is because not only should I look after myself but the whole reach of the Erzullie family. As an icon, we are some who could stand up and represent the plus size community and prove to society that we all are beautiful. It taught me that as a whole, being an Erzullie icon is like our life. It is uncertain how our life would look like, but it's up to us and the choices we make- on how we can get that perfect shot or perhaps, live the life we dreamed of living. #4 What are the good bits so far of being an Erzullie Icon? The Resort 2014 Collection photoshoot was definitely unforgettable, as if it was my 'baptism'. It was my first ever photoshoot that actually is not only concerned with selling, but also advocating for the plus size industry. Furthermore, it is unforgettable since the pegs and the style for the said collection was actually my kind of thing; thus, allowing me to do my job and at the same time have fun. Working with Ms. Kat Lopez and Ms. Loren Monares is nothing but a breath of fresh air. It's 'hassle free' since they are all professionals. More than that, They're all easy to work with, easy to get along with, and for sure it'll be a day full of laughter.